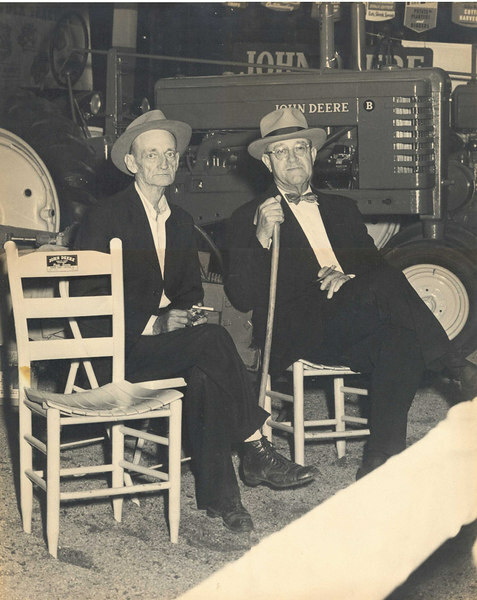 William Clark, John Deere Tractor Dealer and M.E. Perry at John Deere display booth at 1952 Berrien County Fair. Fair was held in Perkins Tobacco Warehouse #4 on the Willacoochee Hwy.